HÀ NỘI — The uptake for social housing in Hà Nội has been disappointingly low due to indifference from the intended target customers. According to official statistics, by the end of 2018, Hà Nội’s population stood at 9.6 million – including those from other localities residing long-term in the city. The World Bank said 60 per cent of this figure fall into the middle and low-income groups, with real demand for dwelling spaces. Even with the preferential loan rates and other support policies from the central government and local authorities, not everyone can afford to buy out social housing apartments and it’s expected that these people would opt to rent these low-cost apartments instead. However, the backlog of vacant rental apartments continues to grow in Hà Nội. Investors in the city are getting increasingly anxious as the bleak situation persists despite numerous open biddings, while they still had to pay bank interests and the apartments deteriorate from sitting empty. As per regulations, social housing investors must allocate some 20 per cent of their apartments or homes in their projects for rental. The Bamboo Garden project in the rural district of Quốc Oai, for example, has 432 social apartments – 346 for sale and 86 for rent. The municipal construction department officially started to receive applications for purchase and rental at the project since October last year but after 15 biddings, there has not been a single customer interested in renting an apartment at the project despite attractive price tags of VNĐ66,000 (US$2.85) per sq.m per month. 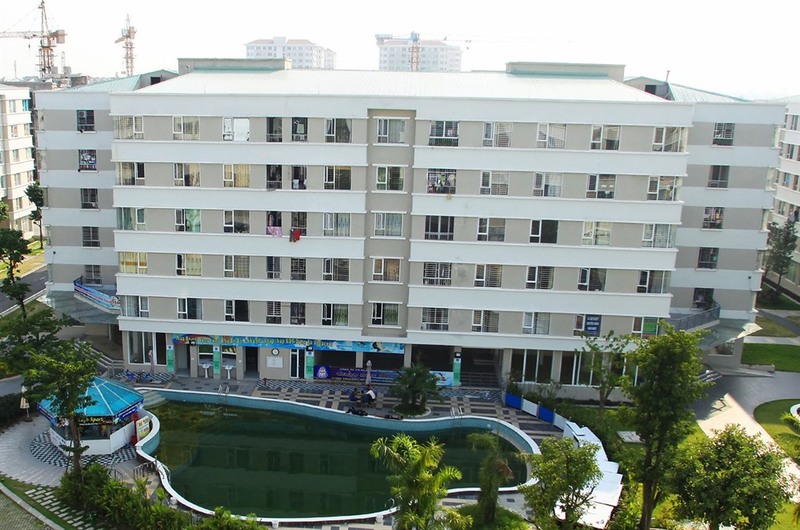 The Phú Lãm social housing project in Hà Đông District is also struggling to deal with the burden of 384 empty rental apartments. According to Hà Nội’s construction department, the city plans to have 6.3 million sq.m of social housing by 2020. By now, from nine completed projects, 43 underway and the 20 per cent of area reserved for social housing from 58 commercial projects in the city, the city has 4 million sq.m for social housing and the fear is growing that the area reserved for rental in this figure is going to waste. Despite the expenses and responsibilities that come with purchasing a home outright, the mindset of homeownership still prevails in Vietnamese society, even among the younger generation that has not yet achieved financial independence, experts said. Another reason, probablly the rental fee, might not be as attractive as it seems. Bùi Hồng Anh, a public servant working in Đông Anh District, said that if he was to rent an apartment for his family over 40 years, the rental fee would total VNĐ1.2-1.5 billion, equal to the price of a social housing apartment. So, he decided to get a bank loan and bought a home instead. Nguyễn Trần Nam, Chairman of the Việt Nam Real Estate Association (REA) and former minister of construction, has recently called for a shift public perception from having to ‘own a house’ to ‘having a place to live’. The location of the social housing projects is also a concern. Clustered mostly outside the expensive centre of Hà Nội, the social housing projects may boast affordable price tags even to low-income groups but ultimately the long commute between home and work on the frequently congested Hà Nội streets rendered this advantage a moot point. On the other hand, there are too few affordable housing projects for low income groups in the areas packed with companies, manufacturers or organisations’ headquarters. Trần Ngọc Hùng, Chairman of the Việt Nam Federal Association of Civil Engineering, stressed the importance of a place to live as a concept that encompasses not just the house, but also the surrounding environment, traffic connectivity and numerous other social and services facilities like schools, markets, or hospitals. “Had these elements proved wanting, no one would like to come and live,” Hùng said. A representative from an enterprise that has invested in several social housing projects in densely populated districts of Long Biên and Hai Bà Trưng told Vietnam News Agency that the current rigid policies are hampering the investors’ business and asked for more flexibility, allowing investors to repurpose the unused rental apartments to allow for more people to buy them. Nguyễn Mạnh Hà, vice chair of REA, said that in the Republic of Korea, poor citizens incapable of renting social housing apartments would be entitled to schemes that allow them to rent these places for 30 per cent lower than the market price, while those with more financial capacity would have their rental fees cut by 15-16 per cent.